From your earliest years, you’ve likely heard how important it is to brush your teeth, floss, and maintain good oral health. Choosing the right dental provider is part of following that advice. If you’re considering a procedure such as dental veneers, it’s even more essential. Dental veneers can reshape the appearance of your teeth and transform your smile within only a few visits to your dentist. They can be a good solution for patients who have gaps, broken or misaligned teeth, or discolored teeth when treatment alternatives, such as Invisalign® or teeth whitening, are not an option. Dental veneers require removing a small amount of enamel from your teeth, which is not reversible. The dentist works with a laboratory to create new fronts for these teeth, and he / she attaches these veneers with a special bonding agent. While this type of transformation is impressive, your dentist has to use care, skill, and good judgment to provide you with the best results possible. Tooth enamel makes up the part of your teeth that is normally visible. It’s a white layer made up of the hardest substance in your entire body to protect your teeth. In other words, enamel is very important, and any procedure you have should conserve this enamel to the greatest extent possible. Remove only the right amount of tooth enamel. Only provide the procedure for teeth and patients that are in otherwise good dental health. Skillfully design veneers that will fit comfortably and attractively in your mouth. Ensure that the veneers are well-bonded to tooth enamel. Selecting the right professional helps make certain that you avoid discomfort and that you are happy with the way your veneers make you look. 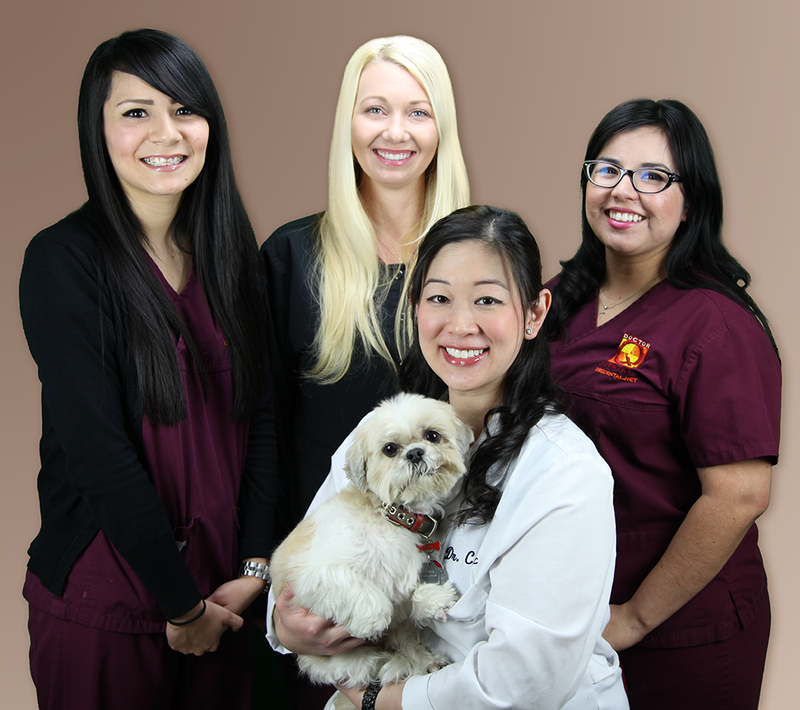 Schedule an appointment with Dr. Q to talk about dental veneers, and she’ll meet with you to discuss your questions. She will conduct an examination and weigh your immediate needs as well as future concerns. Before Dr. Q recommends dental veneers, she will consider your lifestyle; age; general health; and habits (for example, whether you grind your teeth). Taking the time to understand your situation will help her make the best decision for your dental health. Typically, Dr. Q will choose the treatment option that is most likely to result in success while having the least impact on the natural, healthy development of your teeth. It’s her goal to serve you responsibly and to provide you with the best care possible. Schedule your appointment with Dr. Q today. Call (626) 599-9818.